Karen wanted to recce her 8½ mile walk at Hindringham that she will be leading on 28 April so I joined her together with Bea, Josephine & Hilary. When exposed to the wind it felt cold but we found a sheltered spot for lunch at Buffer Grove where it was almost spring-like in the sunshine. The purpose of the recce was to confirm the route and to identify any problems. A lack of concentration (too much talking) meant that we missed one turning but this only added about a ¼ mile to the route. One stile was missing just after we crossed the A148 and this will be reported to Norfolk CC but I doubt that anything will be done about it. We had a minor dispute about the route to take just before Buffer Grove when I was adamant that we should go one way and Karen & Hilary wanted to go down another small country lane. Well, I had to eat humble pie and admit that I had mis-read my GPS/digital mapping: not easy for me to do as everyone knows that I never make mistakes (not!). My GPS tracker confirmed the route we walked to be 9.62 miles but this can be rounded down to 9¼ miles as I’m sure that Karen will get it right on the day of the walk. We were all feeling exhausted by the end of the walk and made for the Thursford Collection for a deserved cup of tea. Whilst it was close to hand, it had little to commend it with a disappointing range of refreshments on offer. This entry was posted in Uncategorized on 29/03/2013 by fenlandramblers. I needed to recce my St Ives walk for the coming Sunday to ensure that the flood water had receded and that it was passable. On a crisp clear Thursday morning I started this 8 mile walk bright and early at 08:30. I needn’t have worried about the underfoot conditions as the overnight frosts had frozen the ground and the flooding was no more. My only worry now is that the weather on Sunday isn’t forecast to be too great with showers or rain. The weather on the day of the walk was more or less as predicted and this was probably the reason why only 7 members turned out. It stayed dry until our lunch break which was taken under shelter in Houghton village. The walk back to St Ives became progressively wetter and I was glad that we hadn’t left it any later as, in the last 15 minutes or so, it turned to heavy & persistent rain. This entry was posted in Uncategorized on 14/03/2013 by fenlandramblers. Light rain was falling until around noon and the cloudbase was low, so rather than doing the hard walk up the Langdale Pikes, I opted to do the easier 9 mile walk on Lingmoor Fell. This still meant a climb of around 1,800ft so some effort was required. This entry was posted in Uncategorized on 07/03/2013 by fenlandramblers. Today’s walk was 10.75 miles with a little over 3,000ft of ascent. The weather wasn’t great and there was more snow around than yesterday but at least it stayed dry. I now need a pint and deserve one! This entry was posted in Uncategorized on 06/03/2013 by fenlandramblers. What a fantastic day for a walk up the local mountain, 803mtr or 2,600ft and 10.5 miles. There was no need for a coat and oddly for this time of year, I feel a little sunburned. Walking across the remaining snowfields was spectacular and gave me a chance to try out my micro-spikes which provided added grip. A truely memorable day. So much so that I asked our leader to take my picture for the record. This entry was posted in Uncategorized on 05/03/2013 by fenlandramblers. I was up bright & early today (Monday) and left Harrogate at 7.00 arriving in Ambleside just after 9.00. A tour of the shops left me £200 lighter so I then set off for a 3.75 mile walk to High Sweden Bridge. My next stop was The Church House Inn at Torver where I’ll be stopping with my caravan in August. Checking in at Monk Coniston just after 14.00 meant that I still had time to kill so I took myself off for a 6 mile walk around Tarn Hows. It was a nice spring-like day and I’m limbered up for some serious walking tomorrow. This entry was posted in Uncategorized on 04/03/2013 by fenlandramblers. I’ve stopped off on my way to the Lakes to stay with my brother in Harrogate for the weekend. 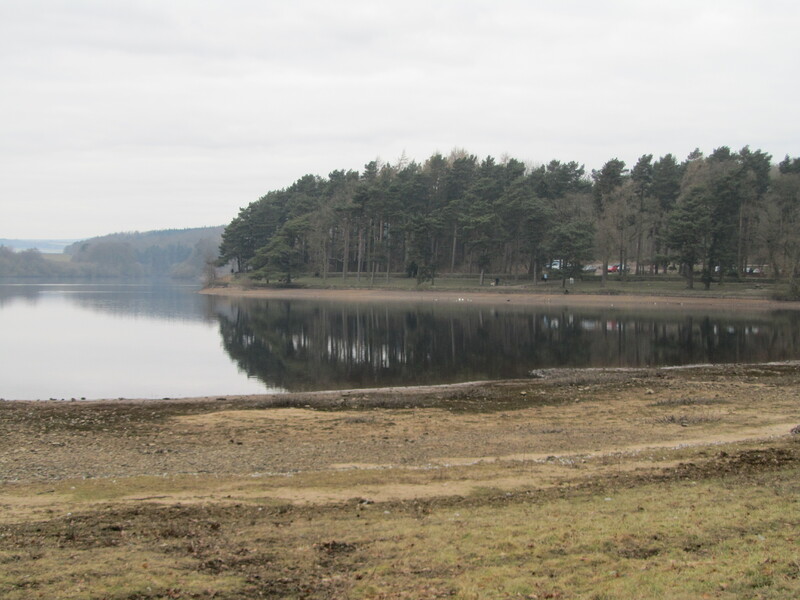 With nothing better to do on a Sunday morning, I started my 6 mile walk around Fewston & Swinsty reservoirs at 08.45. Needless to say, mine was the only car there at that time. When I got back 2 hours later, the car park was full. I was surprised by how low the water levels were after all of the rain that we’ve had recently. This entry was posted in Uncategorized on 03/03/2013 by fenlandramblers.